When people think of hackers, they usually think of a lone wolf acting with the intent to garner personal data for identity fraud. 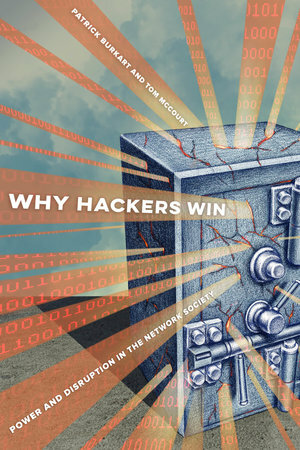 But what about the corporations and government entities that use hacking as a strategy for managing risk? Why Hackers Win asks the pivotal question of how and why the instrumental uses of invasive software by corporations and government agencies contribute to social change. Through a critical media studies and communication lens, the book focuses on the struggles of breaking and defending the “trusted systems” underlying our everyday use of technology. It compares the United States and the European Union, exploring how cybersecurity is a structural feature of digital capitalism, and how the competitive advantage that hackers provide corporations and governments actually afford new venues for commodity development and exchange. Presenting prominent case studies of global players in the global cybersecurity market, the book proposes a political economic model regarding commodification of software vulnerabilities and exploits, and clearly illustrates the true social function of hacking. Patrick Burkart is Professor in the Department of Communication at Texas A&M University. Burkart is the author of Pirate Politics: The New Information Policy Contests, Music and Cyberliberties, and Digital Music Wars: Ownership and Control of the Celestial Jukebox. Tom McCourt is Professor in the Department of Communication and Media Studies at Fordham University. McCourt is the author of Conflicting Communications in America: The Case of National Public Radio and Digital Music Wars: Ownership and Control of the Celestial Jukebox, and co-producer with Joan Grossman of the documentary film Drop City.